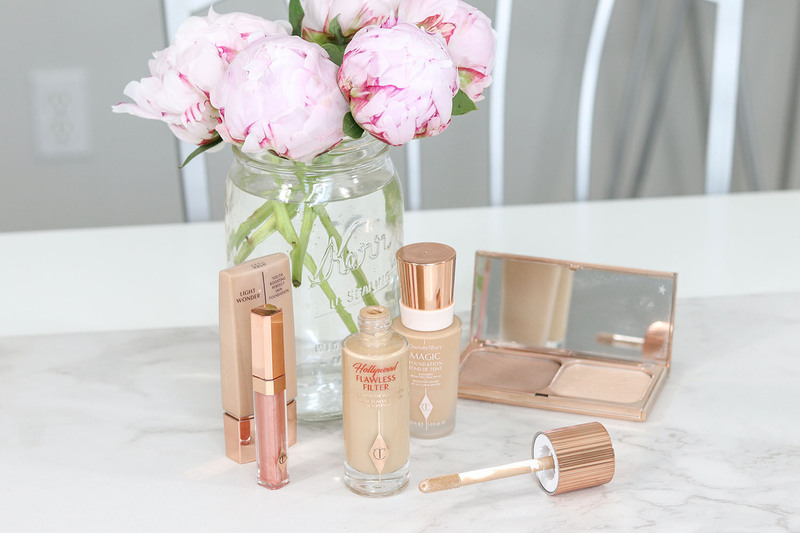 As much as I am obsessed with everything Charlotte Tilbury releases, there are times (as with any brand) products come out and I know 100% it’s not suited for me/my needs. Then there are times I’m just confused. This is usually when a brand does something truly innovative and throws the industry off by doing something totally unique. 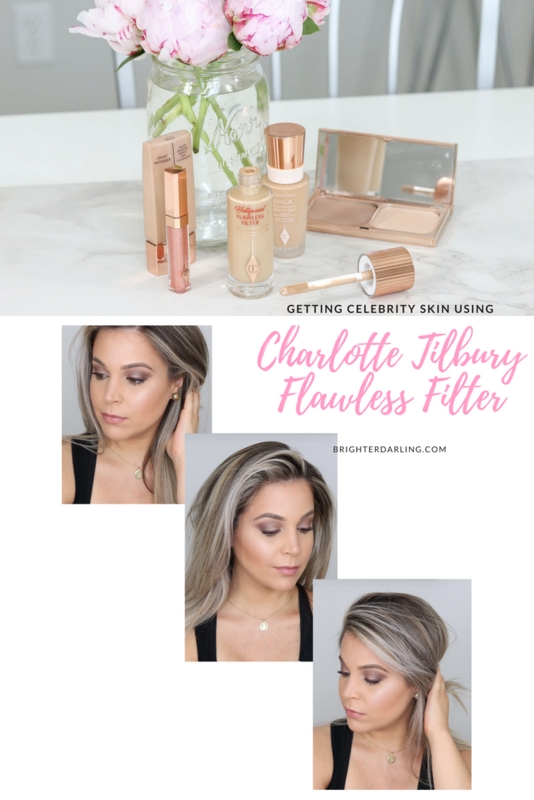 I’ve been testing Charlotte Tilbury Hollywood Flawless Filter complexion booster for over a month now, and although I was initially ambivalent about its need in my collection, I can 100% tell you this is a product you never knew you needed and fulfills a variety of different skin/makeup desires! 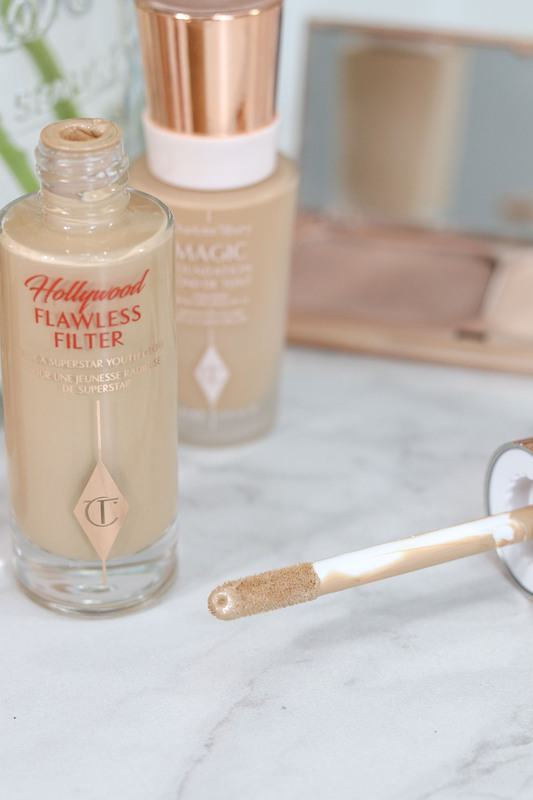 Hollywood Flawless Filter is a combination of a primer, face luminizer, and boasts ‘filtering’ qualities to soften pores and fine lines – just like your favorite Instagram/Snapchat filter. The bottle is beautifully packaged with Charlotte’s signature art deco design in a glass bottle with a chunky doe foot applicator and rose gold metallic cap. Like with all of these newer, chunky doe foot applicators coming out, I’m honestly not the biggest fan. I’d much prefer a pump bottle to ensure hygiene and also to make sure I can get all of the product out at the very end. 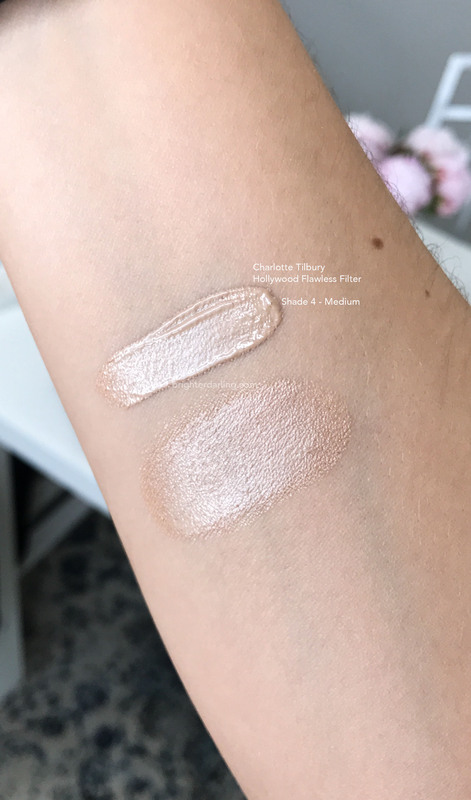 It currently is available in 7 shades (like a foundation) – from light to deep – and retails for $44 on charlottetilbury.com and other retailers Tilbury is sold. There are several ways you can use the Hollywood Flawless Filter. As mentioned above, its main functions are primer, luminizer, and skin smoother. 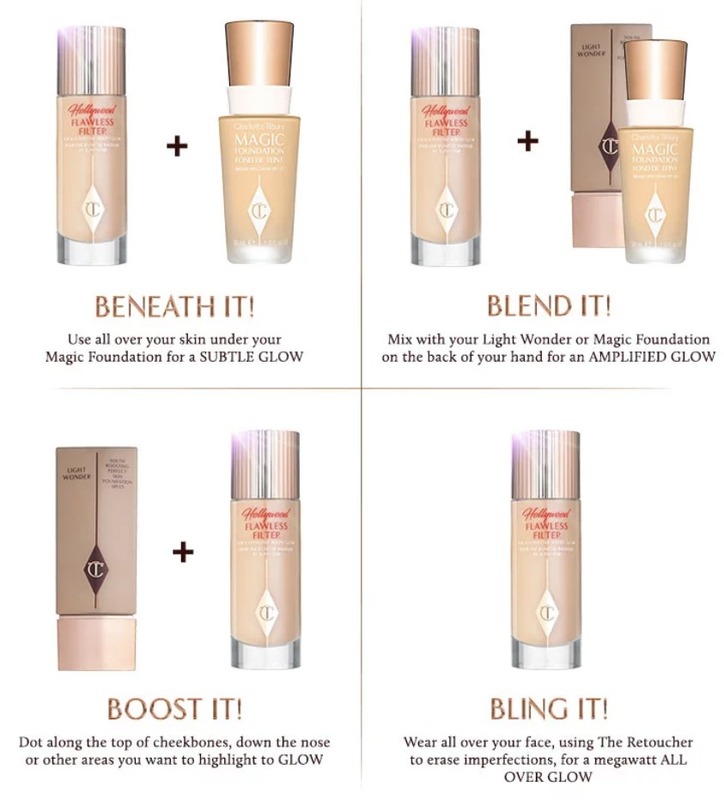 Since I’m a Charlotte addict, I have both of her foundations: Magic Foundation (full coverage, natural/matte finish) and Light Wonder (light/medium coverage, dewy finish). 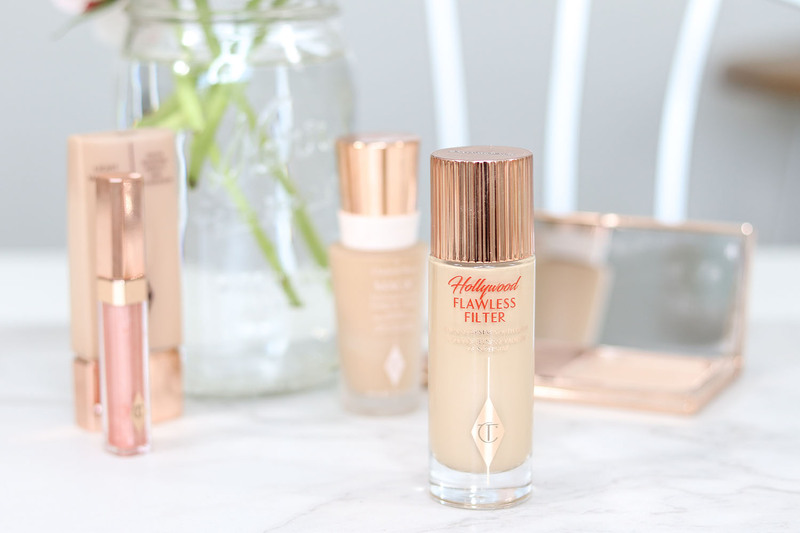 The brand has included ‘cocktails’ to use both of these foundations with Flawless Filter and I’ve tried them all. 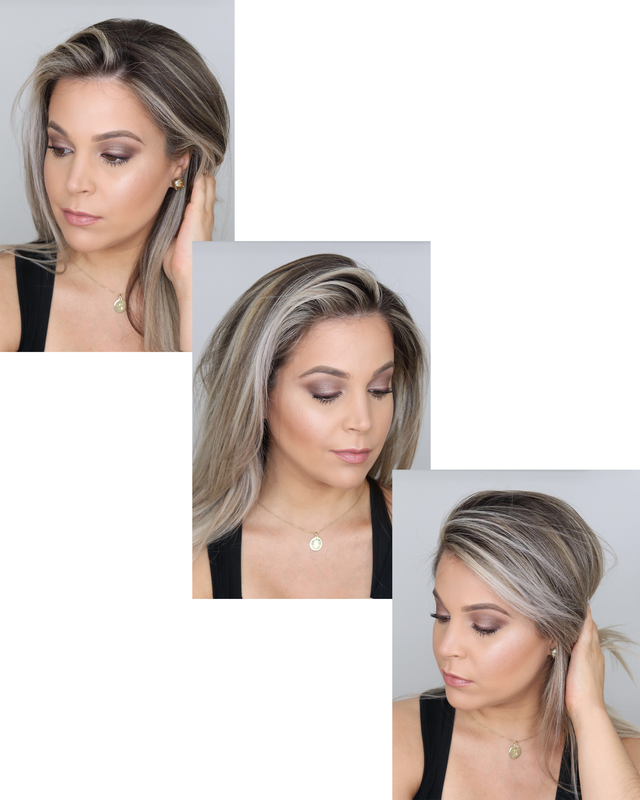 My favorite ways to use it have been as a primer underneath any foundation (but particularly my full coverage formulas like Magic Foundation), and dabbed on top of cheekbones after foundation. I was literally in SHOCK from the first day I tried Flawless Filter mixed with my Magic Foundation! It 100% gives the skin such a healthy, soft focus effect. The type of highlight it provides isn’t shimmery or glittery or ‘makeup looking.’ It’s nearly undetectable to the naked eye but when photographed, you just look poreless, smooth and truly like you’re using a filter (even if you’re not). I love that even wearing it on its own, it provides a light base of coverage… which for many, could be all you need. But I like how it lets me use less foundation. The true reason I know this is a product I have to recommend you try is when – out of all of my makeup – I voluntarily and subconsciously have been reaching for this every single day before applying my foundation/CC cream. It looks beautiful with ALL of my base products – even under powder foundations. …obviously, that’s all of us, right? Totally recommend trying this product! For reference, I use Shade 4 in Flawless Filter. I also wear Shade 6 or 7 in her Light Wonder and Magic Foundation (using Magic Foundation Shade 7 in this post). You can pick up your own on charlottetilbury.com since they always have free shipping and returns (within 30 days). "Eyeshadow Palette Collection and Declutter 2018 [YouTube]"
"Urban Decay Beached Collection Review + Tutorial [YouTube]"